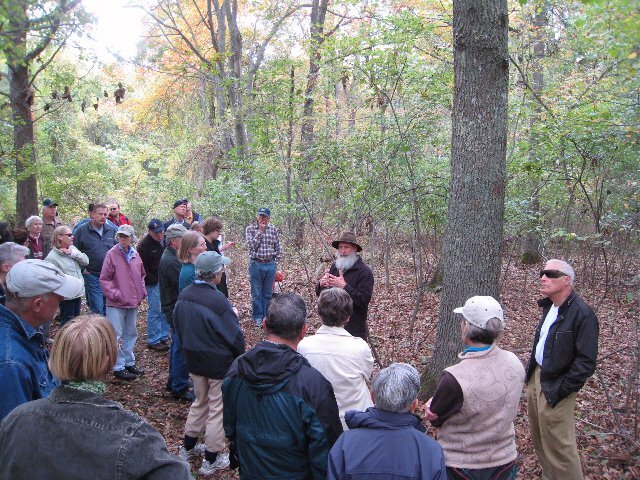 Author, educator and ecologist Tom Wessels interpreted the history Canonchet Farm's landscape during a guided walk on Saturday, October 10. 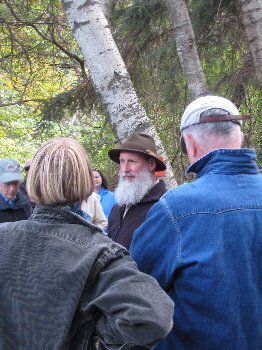 With Tom's guidance, more than 30 visitors saw evidence of the reforestation of the farm over the past 100 years. 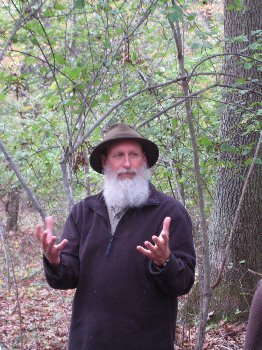 Wessels, author of Reading the Forested Landscape: A Natural History of New England, is the director of the Environmental Biology Program at Antioch New England Graduate School.